A cosmetic maker can sell products without FDA approval. FDA does not review or approve cosmetics, or their ingredients, before they are sold to the public. But FDA urges cosmetic makers to do whatever tests are needed to prove their products are safe. Cosmetics makers must put a warning statement on the front labels of products that have not been safety testing, which reads, "WARNING?The safety of this product has not been determined." FDA does require safety testing for color additives used in cosmetics. Cosmetics may only contain approved and certified colors. Youll find FD&C, D&C, or external D&C listed on cosmetic labels. · external D&C - color that can be used only in drugs applied to the surface of the skin and cosmetics. 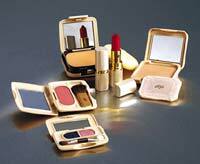 Product recalls do cosmetic makers take voluntary actions too. FDA cannot require cosmetic recalls. But FDA does monitor cosmetic makers that do a recall. FDA must first prove in court that a cosmetic product is a danger or somehow breaks the law before it can be taken off the market. In July 2003, the manufacturer reported to FDA its intent to remove five of its ink shades from the market, based on six adverse events that had been reported. However, FDA has obtained additional reports of adverse events involving ink shades that were not included in the firms removal effort. While the investigation continues, FDA is alerting consumers about associated adverse event reports received about Premier Products ink shades identified on the FDA website at https://www.cfsan.fda.gov/~dms/cos-tat2.html. FDA considers intradermal tattoos (including permanent makeup) cosmetics and considers the pigments used in the inks to be color additives requiring premarket approval under the Federal Food, Drug, and Cosmetic Act. However, FDA has not traditionally regulated tattoo inks or the pigments used in them. The actual practice of tattooing is regulated by local jurisdictions. As FDA continues its investigation, the agency urges consumers and healthcare providers to continue to report adverse reactions from tattoos, including permanent makeup, to FDA as well as to state and local health authorities. Contact information for your nearest FDA district office is available online at https://www.fda.gov/ora/fed_state/Small_business/sb_guide/regions.htm and in the blue pages of your local phone directory. Reports of adverse reactions may be reported also to FDAs Emergency Operations Center at 301-443-1240 or Center for Food Safety and Applied Nutrition (CFSAN) Adverse Events Reporting System (CAERS) at (301) 436-2405 or email at CAERS@cfsan.fda.gov.